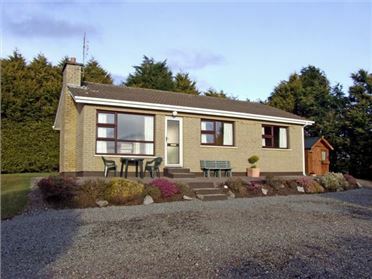 Cnocmor Cottage is a stone-built, detached cottage situated in the hamlet of Rosgalive just four miles from Mulranny in County Mayo. 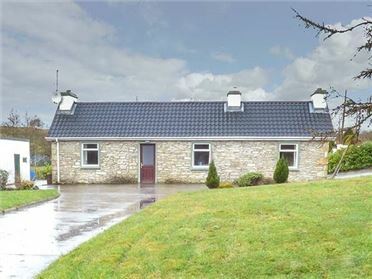 The cottage has one double bedroom, one family room and a family bathroom, making it suitable for five people. Also in the cottage are a fitted kitchen with a dining area and a sitting room with a woodburning stove. 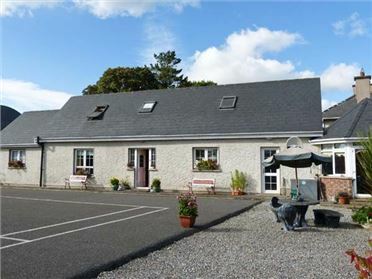 To the outside is off road parking for three cars and a front garden with outdoor furniture. 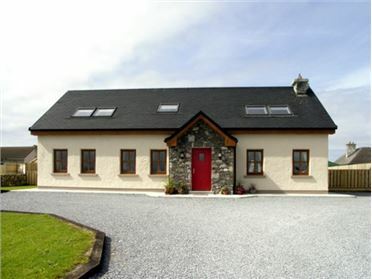 Perfectly located for exploring this beautiful part of Ireland, Cnocmor Cottage will suit all of the family. All ground floor. Two bedrooms: 1 x double, 1 x family room (1 double bed, 1 single bed). Bathroom with bath with shower over, basin and WC. Fitted kitchen with dining area. Sitting room with woodburner. Note: Sitting room accessed by small step. Oil central heating with woodburner. Gas oven and hob, microwave, fridge, washing machine, dishwasher, 2 x TVs, DVD, CD/radio, library of books/DVDs. All fuel and power inc. in rent. Bed linen and towels inc. in rent. Off road parking for 3 cars. Front garden with furniture. One small, well-behaved dog welcome. Sorry, no smoking. Shop 4 miles. Pub and restaurant 10 mins walk. Note: Access to property via steep, private lane.